Meet the Beatles for Real: Keep freshing up! 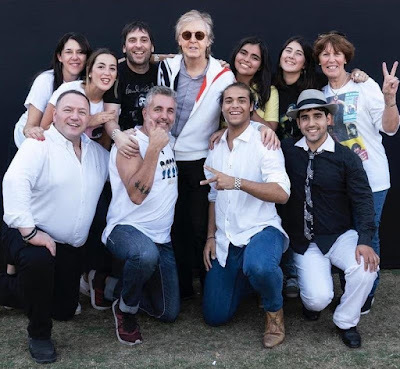 It appears that these Paul fans sent a video into a contest about why they love Paul and are the 10 winners that got to meet the man himself backstage in Brazil last week. Way to go Brazilian Paul fans! Pauly is the best ain't he. You have to love him. What a great way to go down in history. I was at the concert that night! Saludos desde Buenos Aires para todos los beatles fans!